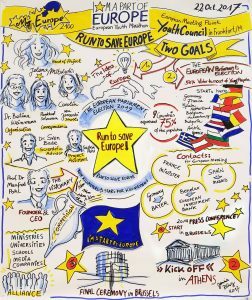 The European Meeting Point for Youth is a platform, where the youth of Europe are brought together to exchange ideas for the future of Europe. 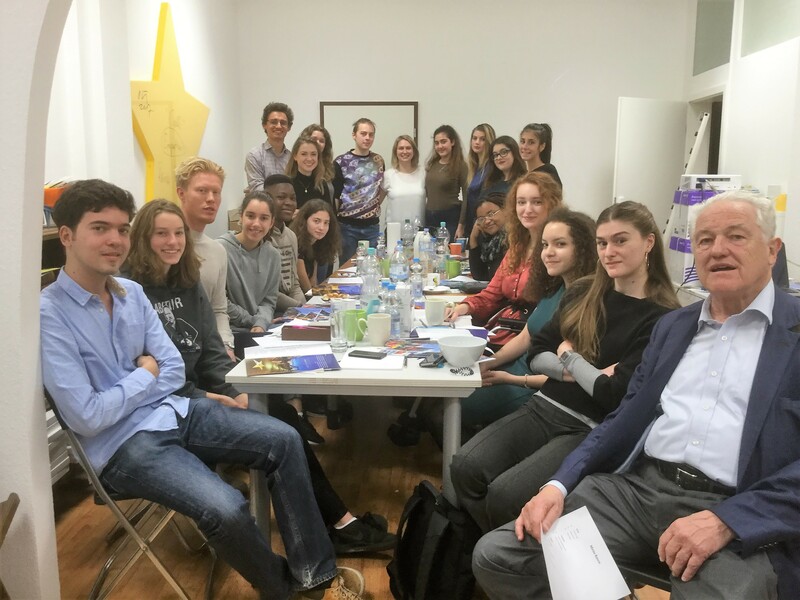 As a first step, we had our first group meeting of the Youth Council in our office in the heart of Frankfurt am Main, from 20- 22 October 2017. 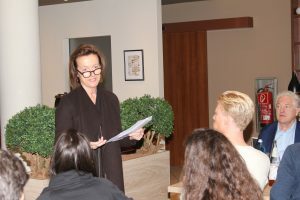 Among the participants were delegations from: Spain, Bulgaria, France, Ireland, England, the Netherlands, Czech Republic, Sweden, Nigeria, Hungary and Germany. 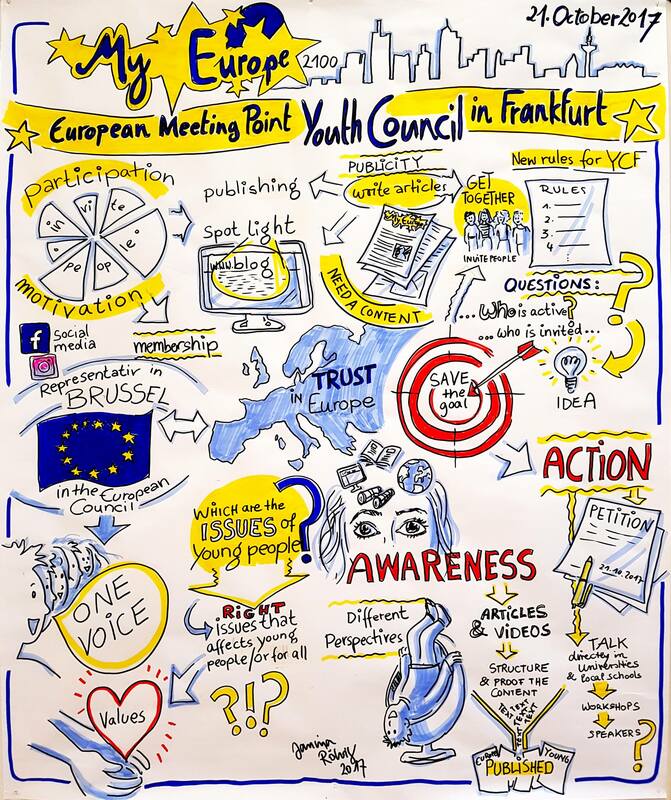 The aim of the meeting was to make an action plan of what the Youth Council would like to achieve in the next two years and present the European Youth Marathon. The meeting was a great success and we are very excited to see how the Youth Council will develop in the next months. “A warm welcome to the new members of the Youth Council. The dream of a peaceful Europe has to be completed. You are the ones to support this and to carry on. You are the future: you should win others / followers. There is no other geopolitical choice. 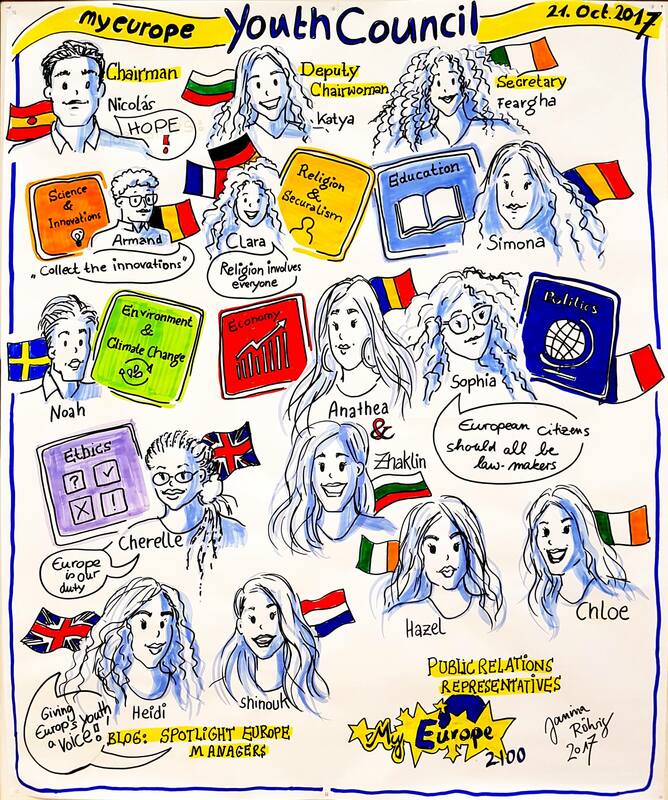 It is important for the individual countries in Europe to remain united, within themselves and with other European countries. You are the ambassadors for this message! Please take the European spirit to your families, to your friends and in the social medias. You know how to do that. You are better than the old ones because you grew up in the environment of digital technologies, so you are the experts. with social media so you are the experts. And if there are fights of rival ethnic groups, like in Spain and Catalonia, show them and help them to build bridges among them. Speech Kristina Gräfin Pilati, Deputy Chairwoman My Europe 2100 e.V.